Dr. Kaplan is chairman and CEO of the Virginia Mason Health System, founding member of Health CEOs for Health Reform, and has held leadership positions with numerous organizations, including the Medical Group Management Association and the Washington Healthcare Forum. “We are extremely pleased to have Gary Kaplan Keynote the 2017 CALNOC Conference. His commitment to excellence in patient safety and health care quality are well known everywhere." said Tony Sung, CEO for CALNOC. CALNOC, the nation’s first and only nursing quality indicators database today announced Gary Kaplan, MD, FACP, FACMPE, FACPE, will keynote their upcoming conference – Empowerment, Value and Collaboration – in Seattle, WA on October 23, 2017. 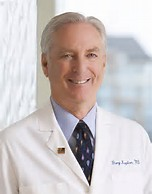 Dr. Gary Kaplan has served as the chairman and CEO of the Virginia Mason Health System in Seattle since 2000. In addition to his role at Virginia Mason, Dr. Kaplan also serves as the chair of the Institute of Healthcare Improvement Board of Directors and chairman of the National Patient Safety Foundation Lucian Leape Institute. Dr. Kaplan has been elected to membership in the Institute of Medicine, one of the highest honors in the field of health and medicine, recognizing individuals who have demonstrated outstanding professional achievement and commitment to service. Modern Healthcare Magazine ranked Dr. Kaplan No. 11 on its 2016 list of the 50 Most Influential Physician Executives in the U.S., this will be the 11th time he has made it on this prestigious annual list. Dr. Kaplan has been awarded John M. Eisenberg Patient Safety and Quality Award from the National Quality Forum and the Joint Commission for improving patient safety and health care quality. In addition, he also received the Harry J. Harwick Lifetime Achievement Award from the Medical Group Management Association and the American College of Medical Practice Executives in recognition of this contributions to health care. Dr. Kaplan received his degree in medicine from the University of Michigan and is board certified in internal medicine which he currently practices at Virginia Mason. He is recognized as one of the most influential physician executives in health care. “We are extremely pleased to have Gary Kaplan Keynote the 2017 CALNOC Conference”, said Tony Sung, Chief Executive Officer for CALNOC. “His commitment to excellence in patient safety and health care quality are well known everywhere. We look forward to his insights and knowledge as he addresses the CALNOC conference attendees”. CALNOC’s 2017 Conference will focus on empowering nursing and providing value by measuring nursing impact in healthcare through collaboration. The CALNOC Conference will examine evidence-based insights, best practices and emerging CALNOC nursing-sensitive data findings to assist nursing and quality leadership in advancing patient care excellence. CALNOC’s Conference- Empowerment, Value and Collaboration - will be held on October 22-24 in Seattle at the Renaissance Hotel.